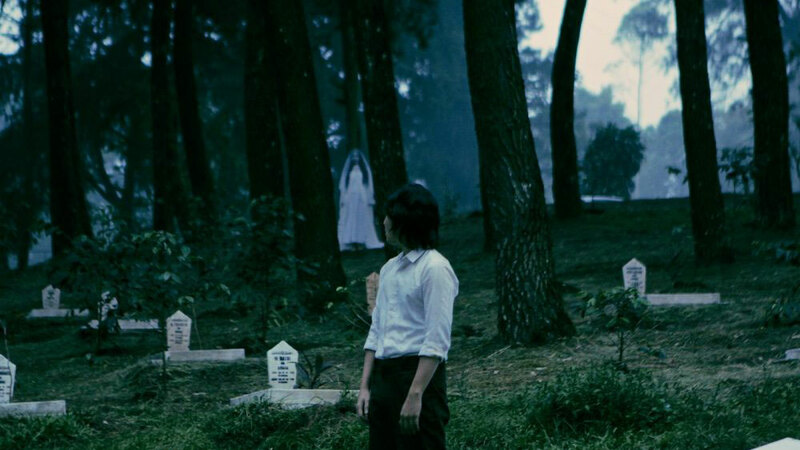 The nearly flawlessly executed Indonesian chiller Satan’s Slaves is easily one of the year’s smartest, scariest and most surprising horror films. I recently had the enormous pleasure of screening Satan’s Slaves (Pengabdi Setan) from Indonesian director Joko Anwar as part of Cinepocalypse 2018. A remake of the 1982 Indonesian film of the same name, the film was a huge success in Indonesia and the best-selling film of 2017. Satan’s Slaves is a rare treat — artful and intelligent enough to appease sophisticated cinephiles, while giving due love and respect to the horror genre. This effectively creepy and slow-burning tale revolves around a once famous singer named Marwina (Ayu Laksmi), her husband, and their four children. For the past three years, Marwina has been consumed by a mysterious illness that has left her bedridden and barely functioning, while leaving her family to face mounting financial pressures. Despite the hardships they face, the family is buoyed by the love and devotion for one another. But the stress they are under begins to quickly magnify when Marwina suddenly passes, and a series of increasingly disturbing and terrifying events begin to plague the family. When the father is forced to leave home so he can travel to the city to find work, the children are left vulnerable and terrorized by an unseen evil that appears intently focused on the youngest child, Ian. As the eldest daughter Rini (Tara Basro) struggles to find the truth about what’s happening to her and her siblings, a dark secret is uncovered that threatens to destroy them. While that sounds like a premise you’ve seen played out hundreds of times before, Satan’s Slaves masterfully achieves what so few modern supernatural horror films fail to do. Joko Anwar takes his time getting to the real horror, letting us invest in the characters — delivering a story that is both suspenseful and emotionally engaging. 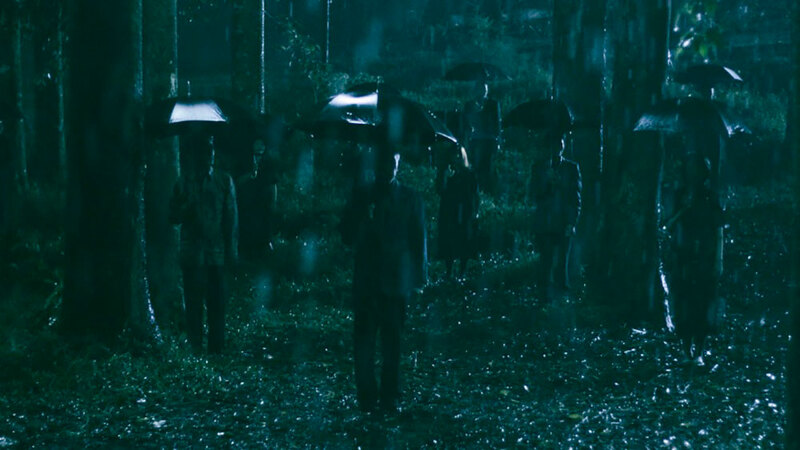 We become immediately sympathetic to the plight of our protagonists and care about what happens to them. It’s this strong focus on character development over cheap scares that helps elevate this film well above others in the genre. That’s not to say the scares aren’t plentiful and satisfying. There are several truly chilling and terror-inducing scenes. Rarely has a film caused me so much delicious anxiety. Impressively, what you don’t see is as unsettling as what you do. And, while there are numerous haunted house/ghost story staples here, there’s nothing cliché or lazy about any of it. There’s also a shocking and extremely impactful gore scene later in the film that left me a bit breathless. For those of you who may be slightly turned off by the idea of a moody and atmospheric chiller that focuses on suspense and character development, you’ll be pleased to know that Anwar aggressively ramps up the film’s palpable tension and ultimately builds to a frenzied finale that generously rewards your patience. Satan’s Slaves contains strong echoes of several other horror classics, and I mean that in the most complimentary way possible. It’s reminiscent in many ways of film like Rosemary’s Baby, Night of the Living Dead and The Omen, while still retaining its own originality and unique identity. Like a beautifully choreographed dance, the film gracefully floats between several sub-genres — giving rise to ghostly apparitions, demonic cults, and even zombies. Every aspect of the film — from the stunning cinematography, to the impressive score and sound design, to the stellar performances — works in glorious harmony to create an exquisitely dreadful atmosphere. 2018 has already been a triumphant year for horror, with films like A Quiet Place and Hereditary proving the genre can be both smart and scary, both character-driven and nightmare-inducing. If Satan’s Slaves can find a deservingly receptive audience in America, it’s likely to be added to many ‘best of the year’ lists.